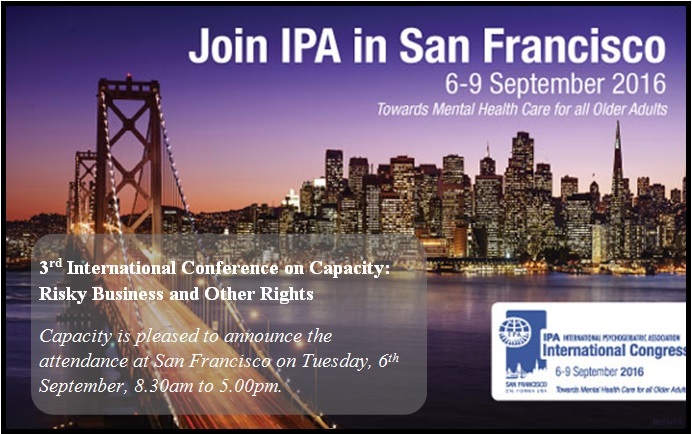 IPA has long recognized capacity as an issue with clinical, ethical, medico-legal and human rights relevance to clinicians across a range of disciplines working in old age psychiatry. This year’s Conference on Capacity promises to showcase novel plenaries addressing a breadth of issues. 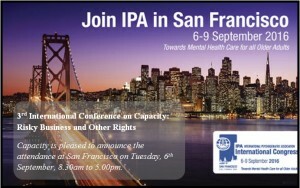 3rd International Conference on Capacity: Risky Business and Other Rights. The Pre-Congress workshops program agenda is available now.